We Here At Apex Hosting Are Looking for Content Creators! 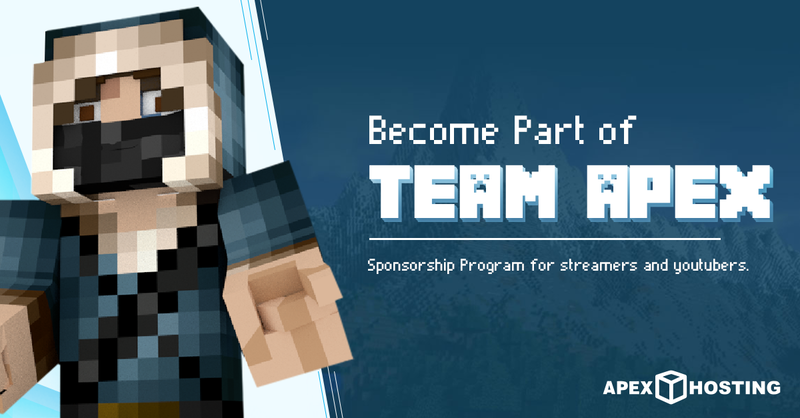 We here at Apex love Minecraft content creators and are currently looking to sponsor quite a few people to be able to share their content to as many people as possible. If accepted you’ll receive a free server to stream and/or promote to your community. Here below are the requirements we are looking for with our content creators. Youtube: 200+ avg views per video. If you don’t hit these requirements that’s okay as we do offer an affiliate program that you can sign up for to make some extra cash! Be sure to check out our other sponsors and the application here! We look forward to seeing what all you guys are making and creating!